We hear the postive impact the HJBCC has on the surrounding community. 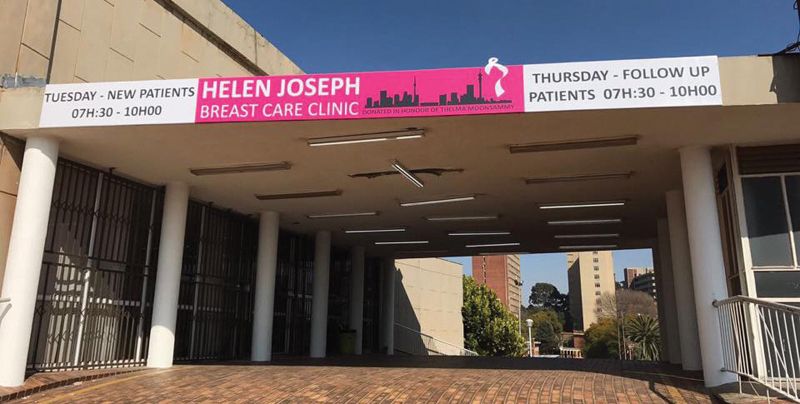 The Helen Joseph Breast Care Clinic (HJBCC) was set up in 2005 by specialist surgeon, Prof Carol-Ann Benn. She was joined by specialist surgeon, Prof Sarah Rayne. To provide world-class breast care to the people of Johannesburg, delivered in a government hospital setting. Patient care should be excellent but affordable, and allow women (and men) access to all available methods of breast pathology diagnosis and treatment through an integrated, education orientated, multi-disciplinary approach; ensuring high quality patient care and effective service delivery. The HJBCC provides two specialist breast clinics each week. These are open access clinics which enables each patient to be seen within a week of identification of a breast problem. Tuesday: Open access for all new patients without previous HJBCC attendance. Thursday: Open access for follow-up patients undergoing investigation and treatment in the HJBCC. These clinics and the ward care are complemented by a nurse-led dressing clinic run each morning for patients. Our nurses are experts in managing dressings and drains for post-operative patients, as well as explaining and supporting patients in the management of their own wounds and drains. In addition, the nurses also manage dressings for our locally-advanced T4 patients, a subset of women who have presented late with fungating or ulcerating wounds. It is important to give these women the local support of their wounds and develop strategies to prevent odour and leakage and to enable women to adequately cleanse and manage their wounds in the community whilst receiving primary chemotherapy. Who are the patients of HJBCC? The clinic manages 500-700 patients each month in two weekly specialist clinics. Separate hospital records have been kept since 2008; the clinic has seen and followed-up more than 12,000 patients in that time. In 2017, 327 new breast cancers were diagnosed and treated. HJBCC has 10-15 new cancer diagnoses each week. Most of the patients present as locally-advanced disease and are referred immediately for primary chemotherapy. A further 2-3 patients will undergo sentinel lymph node biopsy each week, of which two-thirds are positive. HJBCC has a ward devoted to breast patients next to the clinic, allowing easy access for patients and relatives. We manage three full-day operating lists dedicated to breast cases, with a further general surgery full-day list used for some benign cases. Two lists are assigned to breast surgery, both benign and malignant, each week and one list is for onco-reconstructive cases and breast plastic surgery. We have a strong reconstructive surgery department working within the unit, with 100 reconstructions carried out each year. Many patients have immediate reconstruction with oncologic surgery and reconstruction carried out by different teams at the same operation. Oncology facilities are centralised offsite five kilometres away and comprise a radiation unit and medical oncology outpatient and inpatient facilities. There is a multi-disciplinary meeting comprising surgeons, medical and radiation oncologists each week to ensure comprehensive care. Within the hospital our close partnership with the specialist radiologists and a weekly combined breast meeting ensure that clinical, radiological and histological assessments of each patient correlate. The mammography unit provides full field digital mammography with two digital mammography units, a prone stereotactic unit and two ultrasound machines with high definition linear probes, employing three radiographers and four specialist radiologists with mammography skills. Up to 30 patients per day receive diagnostic and screening mammography, multiple core biopsies, aspirations, V marker placements and hookwire localisations under stereotactic and ultrasound guidance. There is a genetic counselling service with clinics held four times a year. This is for women who are at high risk of breast disease due to hereditary factors. This includes testing for BRCA mutations. Within the hospital referrals are available to our physiotherapy department to aid with lymphoedema care, and general wellness. 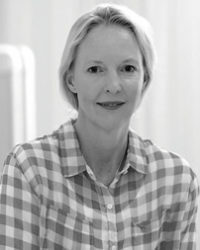 Prof Sarah Rayne is an academic surgeon with a particular interest in managing breast cancer and disease in public and private practice. 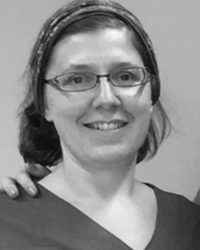 Her research focuses on quality improvement in surgery, addressing inequalities in breast cancer care and community engagement for breast awareness. ← Previous Previous post: Olive oil – why all the fuss? I enquired about an explant due to complications now after 25 years! Had a call from Helen Joseph this morning but got cut off, unfortunately. Kindly advise as I need help to get these implants removed due to health reasons. Please contact the Helen Joseph Hospital on 011 489 0930. I am very confused at the moment with all the information I am receiving. I have quite a large lump in my breast which is now getting painful. I called HJH and was told I could attend on a Tuesday morning. I have since heard from other people that I first need to go to Jhb Gen for a mammogram. I am not sure what my next step will be as I don’t want to waste anybodies time. I live in Boksburg and rely on friends for transport. Any advice as to my next step forward will be great fully appreciated. Thank you for your message Jeanette. The best would be to go to HJH for a breast exam first. New patients are seen on a Tuesday between 7am – 10am, no letter of referral or appointment is needed, just your ID and proof of income/unemployment.